Heesen presents the first yacht in the newly designed 5000 Aluminium ClassAquamarine is Heesen's newest fast-cruising, all-aluminium motor yacht that sports a brand new hull designed by our in-house naval architects, who worked closely with renowned hydrodynamicists Van Oossanen Naval Architects.The optimization of the hull design has enabled an efficiency gain of 12%.This important result was achieved by raising the transom and making it sleeker, and in addition, propeller tunnels were incorporated in the hull. Most yacht crew are compensated every payday, via wire transfer or check. 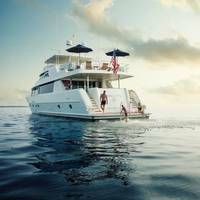 But for some yachties, the only way to get paid is the hard way: by filing a lawsuit in federal court and literally arresting the megayacht for back pay owed.While many captains and crew are reluctant to initiate expensive litigation to arrest the boat they’ve served on, pursuing their seaman’s lien is the best route for compensation. If the legitimate amount due is well over $10,000, crew should stand on their rights and act on their valid claim immediately. According to a report on time.com a tour boat exploded in the Bahamas this weekend, killing an American woman and injuring nine others. According to the time.com report, 12 people in total were onboard, including 10 Americans and a pair of Bahamians. Accoring to the report, the U.S. Coast Guard received a call from the Royal Bahamas Police Force “requesting assistance after boaters suffered from various injuries,” on Saturday morning. Four people were reportedly evacuated to Florida, according to the U.S. Coast Guard. Five victims were airlifted to Princess Margaret Hospital on New Providence Island in the Bahamas. 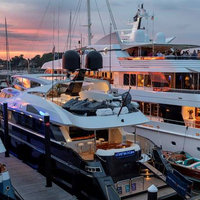 From June 18-21, the Newport Charter Yacht Show provided a four-day window of opportunity for brokers, managers and other industry professionals to acquaint themselves with 24 luxury yachts available for summer charter in the New England area. As well, it gave attendees a chance to network, share information and socialize on the docks and at seminars and special events, mixing business with a good amount of pleasure. 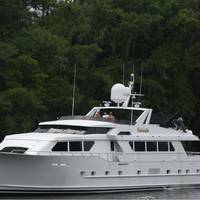 “Everyone is ‘on’ and friendly here, like they’ve known you forever,” said Maggie Vale, a local broker with Churchill Yacht Partners who attended the show. Book Ends was delivered to her owner upon completion in June 2017. 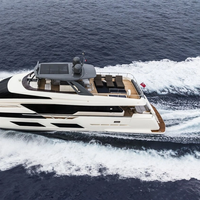 The boat is now making her exclusive, world debut at the Palm Beach Boat Show. With a top speed of 15 knots, and a transatlantic range of 4,000 nautical miles at 12 knots, Book Ends has proven to be ideal for cruising in the Mediterranean, as well as basking in select areas of the Bahamas; something of a pre-requisite for her highly experienced owners. 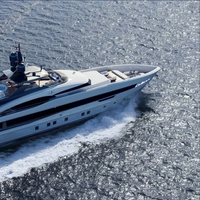 Book Ends combines Heesen's Dutch quality with volume, state-of-the-art engineering and advanced naval architecture. The U.S. Coast Guard rescued two people from a 35-foot sailing vessel taking on water due to sea conditions Monday in the vicinity of West End, Bahamas. Watchstanders with Coast Guard 7th District Command Center received a call from a good Samaritan who reported three people aboard a sailing vessel in distress due to sea conditions. The watchstanders directed the launch of a Coast Guard Air Station Clearwater MH-60 Jayhawk helicopter crew to assist. The helicopter crew arrived on scene, hoisted two of the three people and safely transferred them to Freeport, Bahamas. 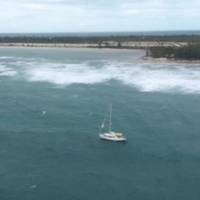 A good Samaritan sailing vessel rescued six people from a sinking sailing vessel early Monday 14 miles west north west of Hog Cay, Bahamas. Watchstanders with the Coast Guard 7th District Command Center received a 406 megahertz personal locator beacon distress alert and the Halifax Joint Rescue Coordination Centre received a report from the sailing vessel Serenity, within the same area as the PLB alert, stating they were taking on water and abandoning ship. The Serenity crew stated they had two adults, four children and two dogs aboard. 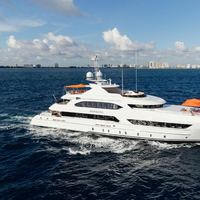 AvYachts, the foremost provider of fractional yacht ownership, announced that it has entered into a partnership with Elite Alliance, a leader in exchange services for luxurious vacation homes. With this partnership, AvYachts owners are now also members of Elite Alliance, and can trade a week on their yacht for three weeks at a luxury villa or other Elite Alliance property around the world, with the option of trading additional weeks if they choose. In exchange, Elite Alliance members also have access to AvYachts' vessels. 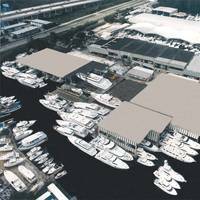 Navionics, a content and location-based services for the recreational boating and outdoor markets, has announced the acquisition of Wavey Line Charts. The crystal-clear waters and the white beaches of the Caribbean – from Hispaniola to the northern end of Bahamas – are one of the world’s most sought after destinations for boaters. Bob Gascoine and Jane Minty, Wavey Line owners and founders, have done an outstanding job of charting those waters with their expertise as surveyors, divers and mariners, as well as cartographers. 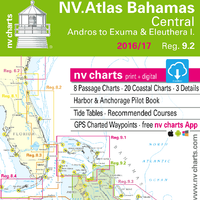 nv charts has announced the release of their newly updated chart sets for Florida, the Bahamas and the Caribbean for 2016/17 in paper and digital format. In addition to being updated, the new NV.Atlas format brings a modern, handy design to the charts that’s practical and easy to use. The chart set includes a download of digital charts, including free navigation software, plus the free nv charts Mobile App for iOS and Android mobile devices. The App includes free digital updates for this chart set for 2016/17. Two experienced USCG licensed Captains based in Rhode Island have teamed up to launch a multi-faceted yacht delivery service. Capt. 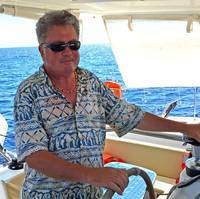 Bill Madison, with more than 30 years’ experience as a licensed Ocean Master with a 1600-ton (GRT) ticket, and Capt. 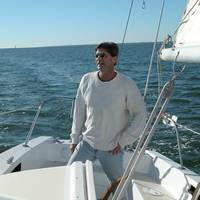 Mike Martel, with a 100GRT near-coastal license, have partnered to form Delivery Passagemakers, combining their experience, sea-knowledge, and compatible approach to serve boat owners, brokers, and anyone needing a vessel moved from Point “A” to Point “B”. A man was rescued from a sinking 31-foot vessel that was taking on water 10 nautical miles north of Grand Bahama, Bahamas, Wednesday. Coast Guard District 7 watchstanders received a report of an activated EPIRB at about 10 a.m., Wednesday. They diverted an Air Station Clearwater, Florida, MH-60 Jayhawk helicopter crew deployed to the Bahamas that was in the area. The aircrew arrived on scene, hoisted the man and transported him to Freeport, Bahamas. No medical concerns were reported. 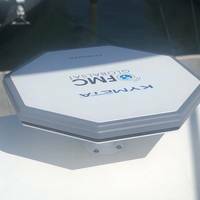 Simrad NSS and NSO evo2 users are able to download a free software upgrade for Simrad NSS and NSO evo2 multifunction displays. The latest software updates, RTM 3.5 for NSS evo2, RTM 4.5 for NSO evo2 and RTM 2.0 for GO7, enable TripIntel, StructureScan 3D, SonicHub2 capabilities and significant enhancements to the WM-3 Weather Module. 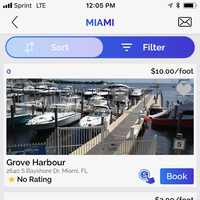 Offering boaters valuable vessel-tracking information, TripIntel presents vital data in an intuitive graphical format providing everything a boater needs to plan and manage a day offshore. 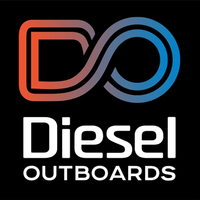 By offering actionable performance enhancements, users gain insight that can improve safety, cut costs and maximize time on the water.